★ New – be able to quickly see the latest photos that have been tweeted by the people you follow. The New page shows a maximum of 48 pics from the latest 800 tweets on your timeline. 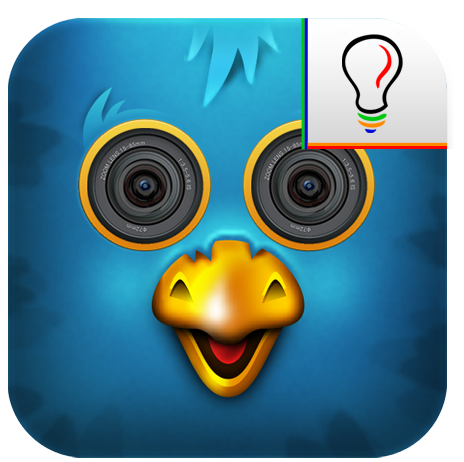 ★ Followers/Following – want to see all the photos tweeted by a particular follower or someone who is following you? No problem! ★ View photos posted on Twitter, whether the photos was posted via Twitpic, Lockerz, Instagram, Twitter, yFrog, etc. ★ Reply to photos you are looking at. Just like you respond to someone’s tweet, TwtBooth allows you to tweet a response to a photo that you are viewing. ★ View all new photos on your timeline. ★ Be able to save photos under Favorite. Instead of having to go back through someone’s pictures to find a particular picture you like, just save it under your Favorites. ★ No ads. Just enjoy the app. ★ If the person’s page does not have many photos, it may take a while for the photos to load.